The nuclear disaster at the Daiichi nuclear power plant in Fukushima, March 2011, means that Japan now facesserious problems regarding nuclear contamination. This poses a very real threat to the right to life and health of people, especially women and children who reside in affected areas. This weekend (15~17December 2012), the IAEA will hold a high level meeting in Fukushima. Civil Society members both in Japan and worldwide are releasing a statement urging the IAEA and the Japanese government to take a rights based approach in its response to the nuclear disaster based on recommendations made by the UN Special Rapporteur on the right to health, Mr. Anand Grover. 1. During 15 and 26 November 2012, the UN Special Rapporteur on the Right of Everyone to the Enjoyment of the Highest Attainable Standard of Physical and Mental Health, Mr. Anand Grover visited to Japan, and conducted an investigation mainly on the situation of the right to health of the affected people by the Fukushima Daiich Nuclear Power Plant accident. Mr. Grover held interviews from the related ministries, the Fukushima prefectural government, the Fukushima Medical University, municipalities and Tokyo Electric Power Co., as well as from many affected people. In addition, the Special Rapporteur visited a vast area including Fukushima-city, Koriyama, Date, Minami-Soma in Fukushima prefecture and Sendai in Miyagi prefecture; interviewed people those who were affected by the nuclear power plant accident and are still forced to live in highly-contaminated areas; monitored the radiation dose around the monitoring posts, schools and the residential areas; and conducted field investigations as places such as temporary houses. Furthermore, interviews with so-called "self-evacuees" in Tokyo, Hokkaido, Miyagi and Yamagata prefecture, nuclear plant workers, citizens' groups, and specialists were conducted. Mr. Grover published a press statement on 26 November, or the day of his leave. The press statement expresses neutral observation based on the investigation mission; however, it contains important concerns and recommendations. We, undersigned NGOs express our gratitude for the active investigation of the Special Rapporteur, shares his concerns, and welcomes the recommendations. The UN Special Rapporteur is appointed by the UN Human Rights Council, where Japan will become a member from January 2013, and his position is based on the international human rights standard including the International Covenant on Economic, Social and Cultural Rights to which the Japanese government is a party state. Based on the faithful observation duty (Article 98-2 of the Constitution of Japan), the Japanese government is obliged to implement the recommendations in good faith. The final report of the Special Rapporteur will be submitted to the UN Human Rights Council in June next year, but we request the Japanese government and the related institutions to implement the recommendations before the final report in June. 2. Firstly, the Special Rapporteur shows following strong concerns over the radiation safety standards on which all policies concerning the affected residents have been formulated after the nuclear accident: "the Government used the threshold level of 20 mSv/year for the designation of evacuation zone. This conveyed the message that effective radiation dose up to 20 mSv/year was safe. It was further aggravated by the Government's release of a number of publications, including school booklets, informing the public that there was no clear evidence of direct risk of cancer if a person was exposed to radiation dose up to 100 mSv." The Special Rapporteur accurately points out that this 20mSv threshold level is "in contrast to the statutory legal limit imposed by the 1972 industrial safety regulation," and the regulation "prohibits the entry of ordinary citizens into the controlled area with radiation dose of 1.3 mSv/quarter and further prohibits workers to eat, drink or sleep in that area." At the same time, the Special Rapporteur recalls that "in Chernobyl the threshold limit for obligatory resettlement was 5 mSv/year or above, apart from soil contamination levels," and concludes that "it is unfortunate that [there is] inconsistency between the current limits imposed by policy on the one hand, and the limits prescribed by the industrial safety regulation in Japan, radiation limits used in Chernobyl and the findings in the epidemiological studies, on the other hand." This indication accurately shows that the 20mSv/year standard, that is becoming a fait accompli, contradicts the existing law, and is significantly inferior to the measurements taken after the Chernobyl accident. We request the Japanese government to seriously consider the Special Rapporteur's recommendations, and drastically change the policies to provide comprehensive policies necessary to protect all people living in the over 1mSv/year areas from health hazards, based on the prior and existing radiation threshold level of the public. 3. The Special Rapporteur points out that "there are [...] a significant number of epidemiological studies, which indicate that cancer and other diseases could occur in low dose radiation below 100 mSv. According to these studies, there is no low threshold limit for the occurrence of diseases." We urge the Japanese government, the related investigation commissions, as well as Fukushima prefecture and the Fukushima Medical University to face the fact that there is no low threshold limit for the diseases' occurrence, and radically reform the existing extremely negative stance of the health effects of the low dose exposure, or the claim of"no clear evidence of direct risk of cancer if a person was exposed to radiation dose up to 100 mSv." We also request them to take a precautionary principle and make their best effort to prevent health hazards. 4. The Special Rapporteur shows a clear concern over the Fukushima health management survey. More specifically, the Special Rapporteur criticizes the criteria and subject of the survey by regarding that the scope is "narrow," and the surveys "draw on the limited lessons from the Chernobyl accident and ignore epidemiological studies that point to cancer as well as other diseases in low-dosage radiation, even in areas of exposure below 100 mSv." The Special Rapporteur recommends the Japanese government to "monitor the impact of radiation on people's health in radiation-affected zones through holistic and comprehensive screening and provide appropriate treatment," and "err on the side of caution and carry out comprehensive studies, which would entail examining and monitoring of internal radiation exposure for a considerable length of time." The Fukushima health management survey, currently conducted by public expenditure, is limited to surveys such as questionnaires and thyroid examinations for children, and the scope is also limited to people living in Fukushima prefecture. The thyroid examination is available only to those who are under 18-year-old once every 2 years. The investigations such as blood, urine, and internal exposure examinations, requested by the residents, are yet to be conducted. After the Chernobyl accident, in Belarus for example, free and comprehensive investigations including thyroid, blood, urine, ophthalmic, dental, internal medicine and internal exposure examinations, were provided not only to children but also to adults. Compared to this, the current health survey is clearly insufficient. We request the Japanese government to take this opportunity to drastically improve the current measurements, learn from the specialists of low dose exposure risks and the clinical experiences of the Chernobyl accident, and conduct a comprehensive survey. At the same time, as the Special Rapporteur particularly points out, the fact that children who underwent a thyroid examination and their parents were denied their right to access to the medical record is a serious human rights violations, which needs to be altered immediately. 5. In order to implement any measure for health protection, accurate information disclosure, especially accurate information gathering and disclosure of the contamination situation and the data on the radiation dosimetry measurement, is a major premise. Regarding this point, the Special Rapporteur states that through his investigation it turned out that the "radiation monitoring stations do not reflect the varied dosage levels in areas in close proximity." There are monitoring stations in various locations in Fukushima set by the Ministry of Education, Culture, Sport, Science and Technology; however in reality, the radiation dose sometimes rapidly increases when it is measured outside the monitoring stations, even at the place very close to the stations. There are hot spots with extremely high radiation doses, and some of the hot spots have dosage which easily exceeds 20mSv/year. However, this fact is not officially recognized by the government, thus no measures such as evacuation designation and evacuation recommendations are taken. It is obvious that the measurement results of the monitoring stations established by the Ministry are neither accurately nor comprehensively representing the contamination situation in neighboring areas. 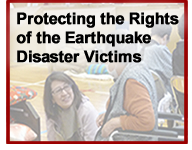 We urge the Japanese government to implement, in good faith, the Special Rapporteur's recommendation which requests to "incorporate all validated independent data, including those from residents, and make them publicly available." 6. The Special Rapporteur reaffirms that "the residents are entitled to live in a safe and healthy environment," and makes two recommendations towards the Japanese government to realize the rights. The first recommendation is "to adopt an action plan with clear timelines, indicators and benchmarks for decontamination to reduce radiation levels to 1 mSv/year" in residential areas; and the second one is "to continue and/or restore financial support and subsidies to all evacuees so that they can make a voluntary decision to evacuate or return to their homes, if they wish to do so." Since it turned out that it would take substantive time until the radiation dose decreases to 1mSv/year by measures such as decontamination, financial support for evacuation should be practiced sufficiently in order to protect people's right to live in a safe and healthy environment. Currently, more and more people cannot get enough financial support in new places, are isolated, and force to return against their will. The cancellation of evacuation zones and the termination of subsidized accommodation support for new evacuees worsen the situation. The return due to economical and psychological hardship is neither a voluntary return nor return of free will. We request for a policy change so that all evacuees and all people who want to evacuate from the surrounding area of the Fukushima Nuclear Power Plant from now on are able to continue a long-term life of refuge by public support and compensation without any concern. 7. The Special Rapporteur investigated the situation of nuclear plant workers, and expressed strong concern over their human rights. He points out that "some of [them] were exposed to extremely high dosage of radiation. I was distressed to learn that there is a practice of employing a large number of contract workers through a layer of sub-contractors. A significant number of them are employed for short periods of time with no effective long-term monitoring of their health after their employment contracts is terminated." The Special Rapporteur recommends the Japanese government to provide monitoring and treatment for all nuclear plant workers. Health checks and necessary treatments should be promptly provided to all workers who worked at the Fukushima Daiichi Nuclear Power Plant after the accident. 8. Whereas the Special Rapporteur welcomes the enactment of "the Act on the Protection and Support for the Children and other Victims of TEPCO Disaster" as a basic law with comprehensive policies, he also recommends an urgent implementation of this Act, which has not been realized yet. We, in accordance with the Special Rapporteur's recommendations, request the Japanese government to implement this Act urgently. In the course of implementation, we urges the Japanese government to pay attention to and comply with the Special Rapporteur's concerns and recommendations in regards to the threshold limit, measuring system, health check system, and support for evacuation, and to implement policies which will never fall short of the policies taken after the Chernobyl accident. At the same time, as can be seen in the Special Rapporteur's statement, it is necessary "to frame the basic policy and subordinate regulations with the full participation of the affected communities." 9. The Special Rapporteur mentions that "I have [...] heard from the affected residents, and particularly from such groups as persons with disabilities, young mothers and pregnant women, children and older persons, that they have had no say in decisions that affect them," and states that "the affected people need to be part of the decision-making process as well as of the implementation, monitoring and accountability processes." When it comes to decision-making, opinions should be heard not only from high-level public officials and specialists, but also from the affected vulnerable people, especially children, pregnant women, and young families with small children. We request to establish a system which includes citizens' representatives into all the processes of implementation and decision-making regarding the designation of evacuation site, the system of radiation measurement and information disclosure, the health check system, the all policy formulation of victim support including recuperation, and "the Act on the Protection and Support for the Children and other Victims of TEPCO Disaster." In the system, more than 1/3 of citizens' representatives should be allowed to participate. 10. 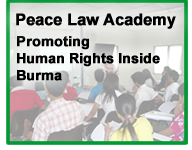 The final report of the Special Rapporteur will be submitted in June 2013. If the Japanese government does not listen to the current indications and recommendations by the Special Rapporteur, the official UN report will be published to the world which contains the criticisms that the Japanese government continues policies which ignore the warning from the UN and thus threatens the right to health of the people affected by the nuclear accident. This is highly regrettable. We urge the Japanese government to drastically change the policies as soon as possible based on the recommendations by Mr. Grover, without waiting for his final report.